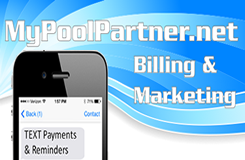 Buyer Form The Pool Route Pros buyers form gives our buyers a way to give our company details about themselves (confidentially), and let us know exactly what they are looking for in a route so we can see what we have available in our pool route inventory. Seller Form The Pool Route Pros sellers form gives our sellers a way to give us some details about themselves and their route confidentially. This way we can have a better idea of the accounts you are looking to sell and what they are worth..
Master Route Sheet The Pool Route Pros Master Route Sheet gives our sellers the ability break down their route ( Accounts, Locations, Longivity, Monthly Service Charge, etc.) without giving any specifics about yourself or your customers. This keeps everything cofidential until we have pre-qualified prospective buyers for your pool route. The master route sheet enables Pool Route Pros, Inc. to market your route, list your route on our website and get details to potential buyers and put cash in your pocket ASAP. Water Chemistry book Pool Route Pros considers education to be a very important part of owning a pool route. Therefore, we provide all of our new buyers with a water chemistry book written by a former employee. This will help you get acclimated with the pool industry and learn more about pool service before you start your own pool route and while we find the right pool route for you. Non-Solicitation Agreement With any pool route sale, we have our buyer(s) sign an agreement stating that any pools you see on a ride a long with one of are sellers, you are not able to go out and solicit any of the pools shown for a period of five (5) years. Finders Fee Agreement We do not have our sellers sign a listing commitment like other brokers out there. Once we do have a pre-qualified cash buyer lined up, we will have our sellers sign a finders fee agreement which states that Pool Route Pros, Inc. is entitled to our fee if we are able to make a sale happen with that interested buyer interested.